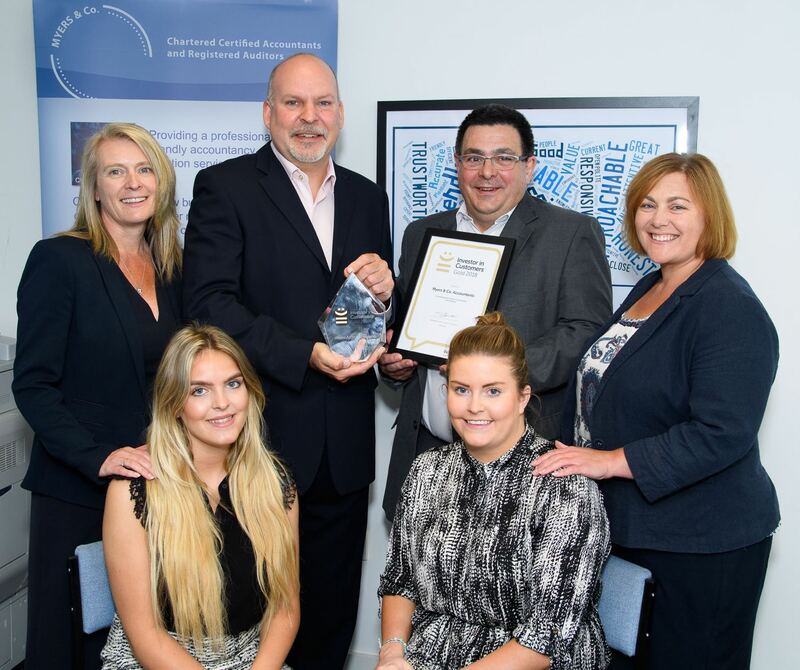 Recent winners of the prestigious Investor in Customers (IIC) Gold Award, Loughton based accountants Myers & Co has seen many changes in the industry since it was established in 2005 by Clive Myers. Here, Clive shares his expertise on how the new changes coming in next year will impact small to medium sized businesses and individuals. Clive’s aim has always been to help his clients operate as tax efficiently and profitably as possible. Clive says: HMRC and Companies House increasingly want information filed electronically. They want our computers to talk to theirs and for their staff to focus upon ensuring businesses are compliant, rather than just processing client data. There is an ever increasing reliance on IT and technology. HMRC’s Making Tax Digital initiative will be implemented in 2019, and this will impact all businesses with a turnover higher than the VAT registration threshold. This means businesses will have to file additional information with HMRC on a quarterly basis, rather than just one annual return. In time this will be rolled out to all businesses. In order to comply businesses must ensure they make best use of technology, to make this as easy and pain free as possible. There are many new software packages around to help and these are generally hosted on-line and accessed by mobile apps and smart phones. They can be directly upload the business Bank Statements, they will learn what certain transactions relate to and will automatically post these into the accounting software. They can also photograph and record receipts and post these into the system, and so a business owner who is out and about and incurs a small business expense, can photograph the receipt on their smart phone and the app will post it directly into their accounting software. It has never been easier! Clive qualified as an Accountant in 1992 and has seen many innovations and changes in the profession. He worked for various firms in London and for ten years was the Financial Controller of at IT firm with a turnover of circa £100m. He started Myers & Co. as he wanted to be his own boss and take control of his own destiny. Clive’s advice to anyone starting a business is very clear, you must speak to an Accountant as soon as possible. It is so important to get the correct advice from the outset and to start as you mean to go on. There are many questions to consider: Seek advice on whether to trade as a sole trader or set up as a limited company? Determine whether you should register for VAT at the outset? Examine how best to remunerate yourself and in the most tax efficient way. Being clear on these points from the start will really help you in the long run. Clive’s team will offer an initial free consultation of one hour to any potential new client.